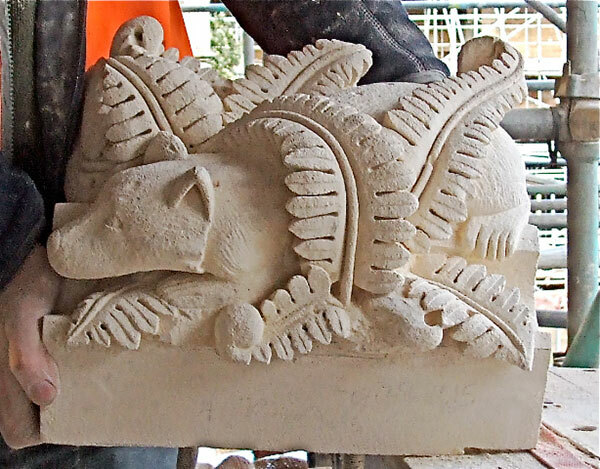 Our fully equipped stonemasonry and conservation workshop, based in Frome, Somerset, compliments our other in situ and site based works. 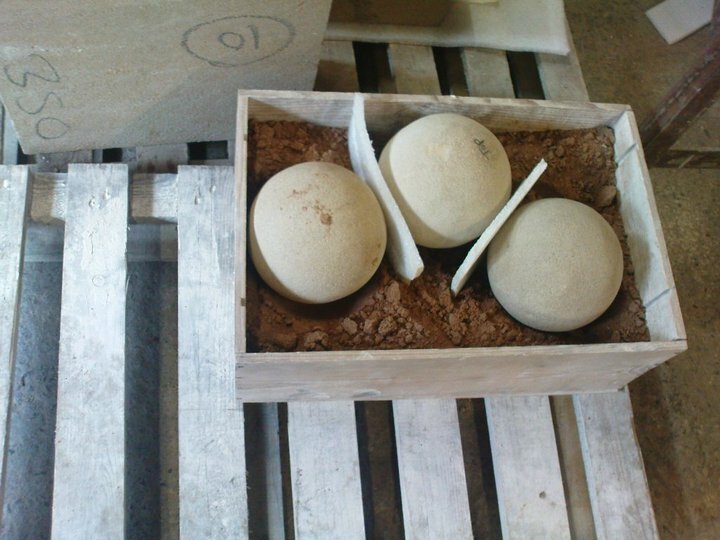 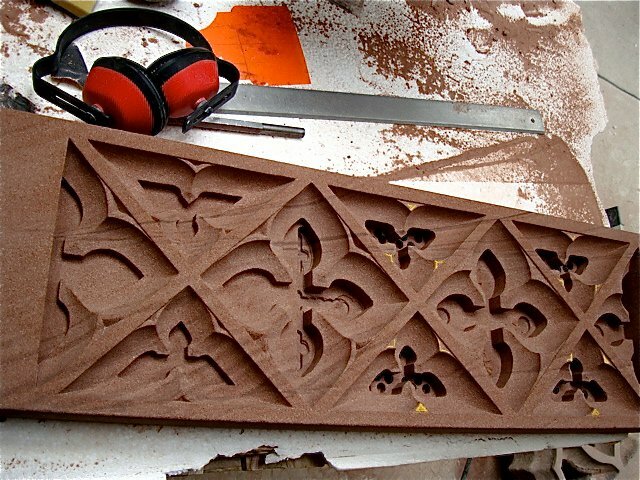 Its large floor space, lifting equipment, and range of analytical equipment, allow us to work on a wide variety of pieces, from small decorative sculptures to large public monuments. 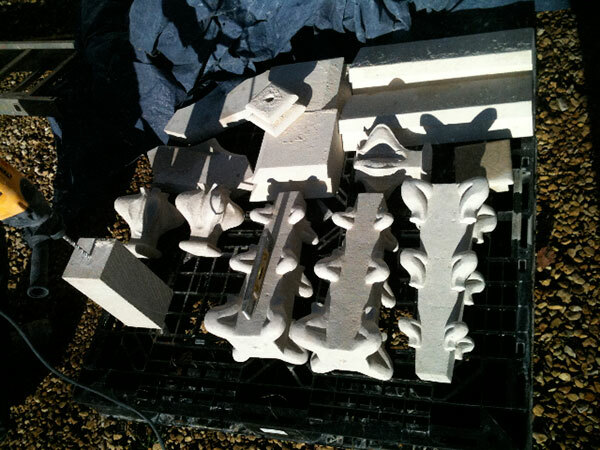 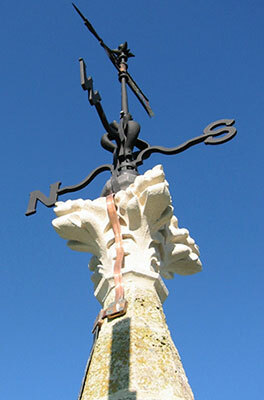 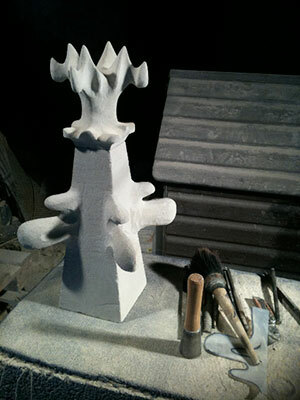 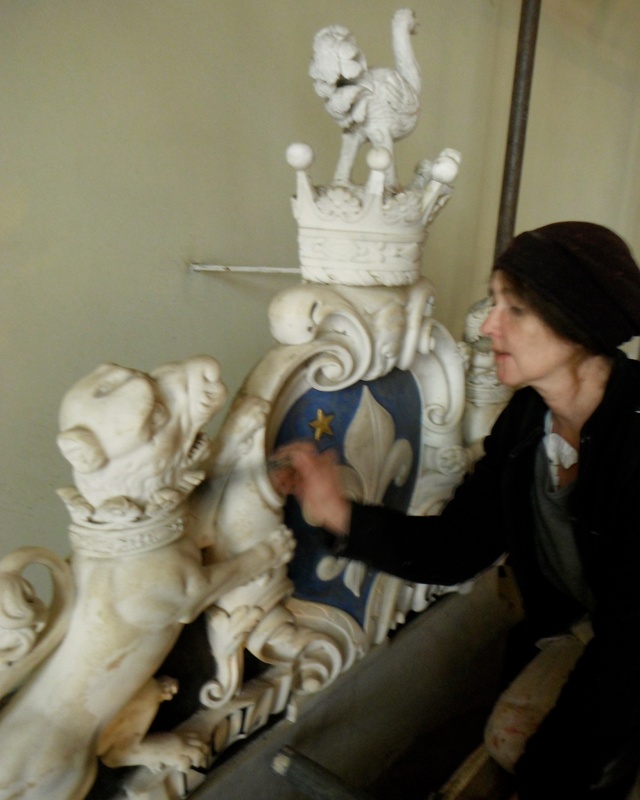 The workshop is used for figurative carving, letter-cutting and the production of architectural stone detailing such as finials, pinnacles and mouldings, mainly in Bath, Chilmark and Portland stone as seen below. 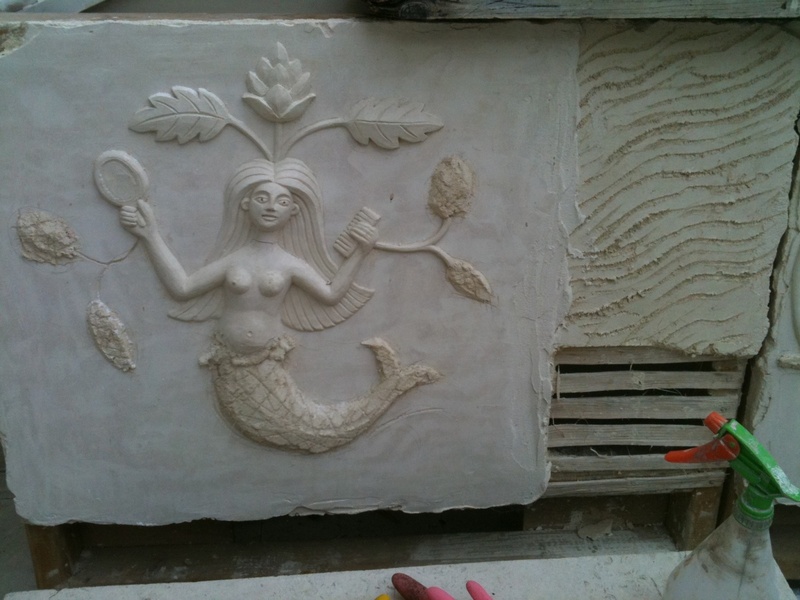 Lath and haired lime demonstration stucco panel. 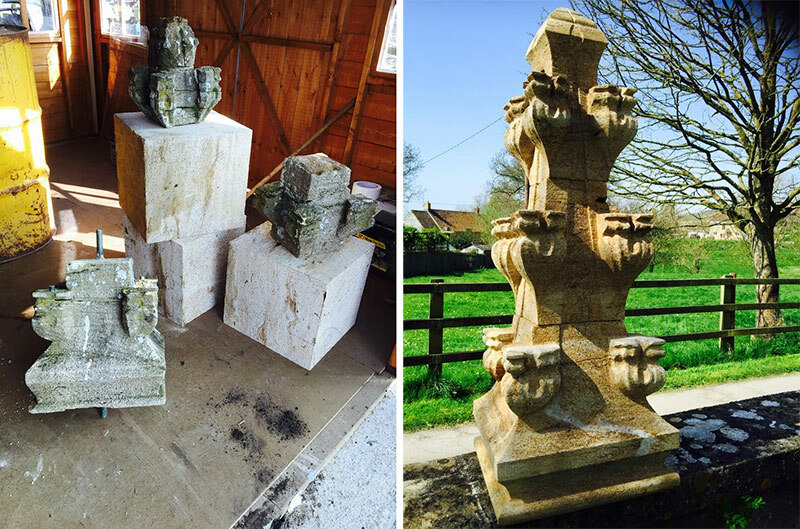 Before and after images of new pinnacle, St Mary's Church, Yarlington Somerset. 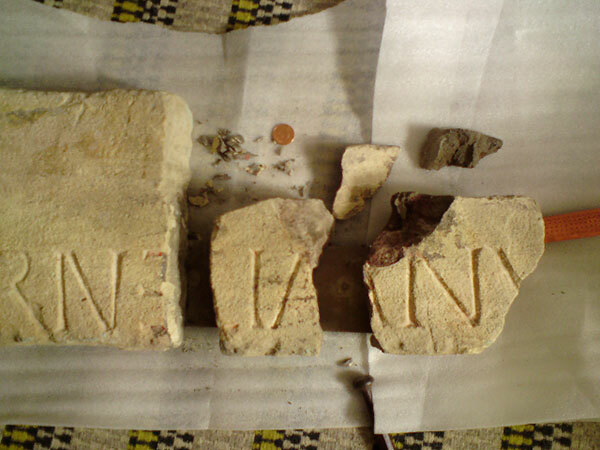 A recent small project undertaken at our conservation workshop is illustrated by this sequence which shows our conservation work to a fragment of an inscribed Limestone Romano/British tombstone, dedicated to Cornelianus. 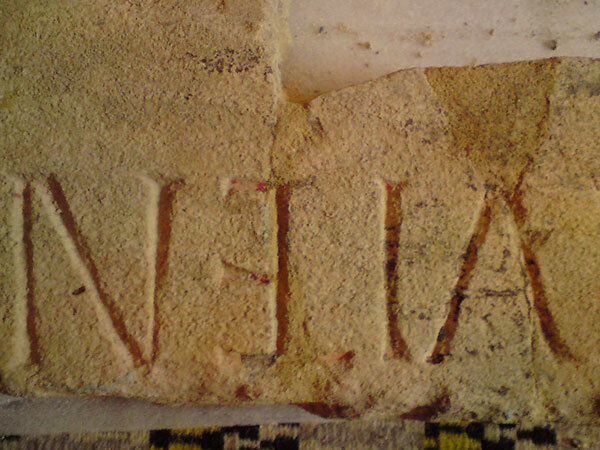 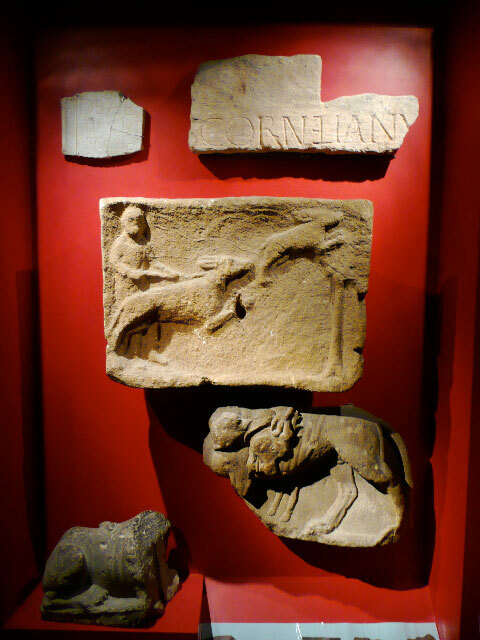 This last photo shows the stone in its new position in the Roman Baths museum in Bath, UK.